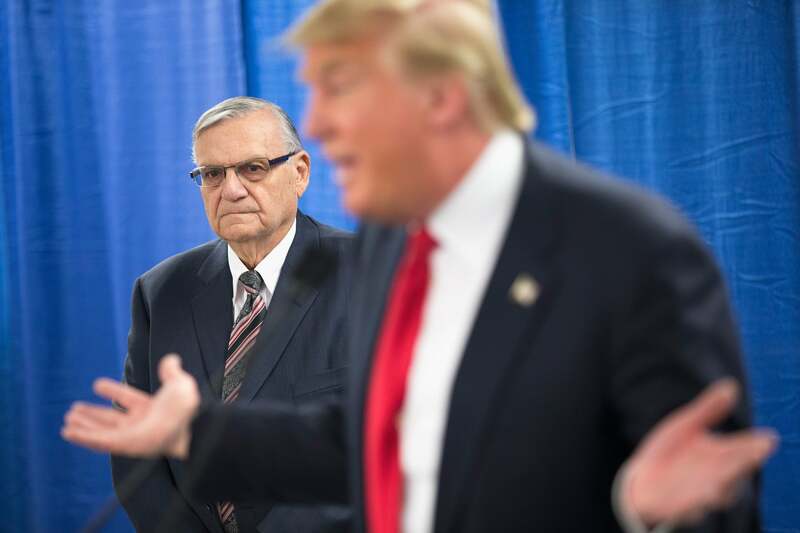 Mere months after former Arizona sheriff Joe Arpaio was pardoned of criminal contempt charges by President Donald Trump, on Jan. 9 he announced his candidacy for the US Senate. Arpaio, who was convicted of criminal contempt after ignoring a judge's order not to detain suspected undocumented immigrants, was the sheriff of Maricopa County, which includes the state's capital, Phoenix, for five terms, or 24 years. His tenure was widely reported on due to extreme policies, numerous lawsuits, and outrageous anti-immigrant rhetoric. Arpaio's criminal conviction came six months after he lost his seat to a Democratic challenger in 2016, and after Trump's pardon, he managed to emerge from the situation unscathed. It should come as no surprise, then, that the longtime Trump supporter immediately honed in on the president's voting base. "I am running for the U.S. Senate from the Great State of Arizona for one unwavering reason: to support the agenda and policies of President Donald Trump in his mission to Make America Great Again," Arpaio announced on Twitter. It's worth noting that Arpaio is by no means a shoo-in for the race; ultimately, he'll go head to head with Steve Bannon-backed former state Senator Kelli Ward and, if rumors prove true, Arizona Rep. Martha McSally. But it's pretty safe to say at this stage that the race to fill Jeff Flake's Arizona Senate seat is going to be one hell of a dog and pony show and we'll be keeping a close eye on this story as it develops.